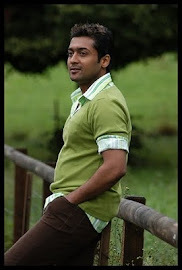 Director Lingusamy is getting ready to team up with Surya for his next project. This untitled film will be produced by Lingusamy's own banner Tirupathi rothers. It will have music by Yuvan Shankar Raja and cinematography by Nirav Shah. Filmmakers are considering Samantha's name for female lead role. The most busiest actress who received back to back 4 blockbusters in Tollywood in on cloud nine and is currently acting in 4 movies simultaneously. The sources says that Samantha has signed the project and she will pair with Surya for the first time. Meanwhile, Lingusamy is currently busy with the script work. An official announcement will be made by him once he is done with the script.